I’ve seen a lot of cute kids’ stuff around the internet, so I thought I would compile a few things here for my two dear friends Emily and Megan who have a baby and are having a baby respectively. Em’s and Megan’s babies are boys, but we’ll include some baby girl stuff too. 2. 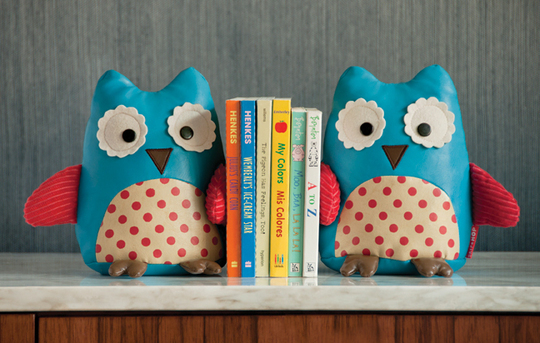 Cute Owl Bookends (they also have dogs and monkeys!). 3. Mavis Monkey. 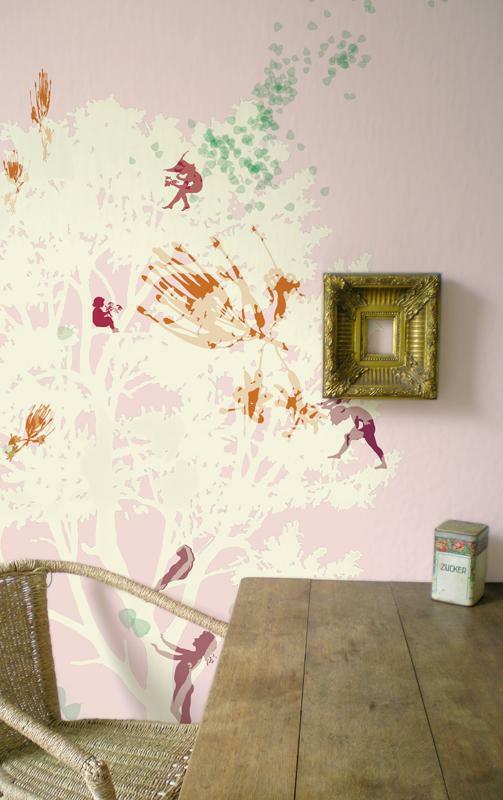 This one is “Ma and Pa” style – a cute little monkey family! – and there is also one of just “Bubalah,” a single little monkey swinging around. 4. Bumble-bee Dishware (also available in owl, monkey, and dog!). 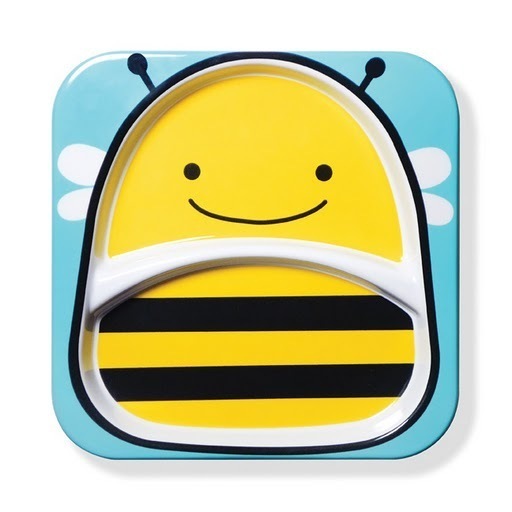 I know kids love zoo animals, so they’ll like eating their veggies from this cute bee. 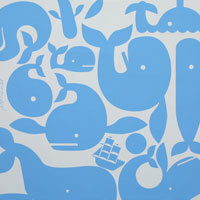 The wallpapers in this post were inspired by the cute nursery I saw here. 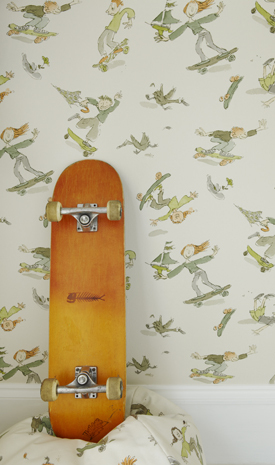 my child will have skateboarding wallpaper whether he/she likes it or not. 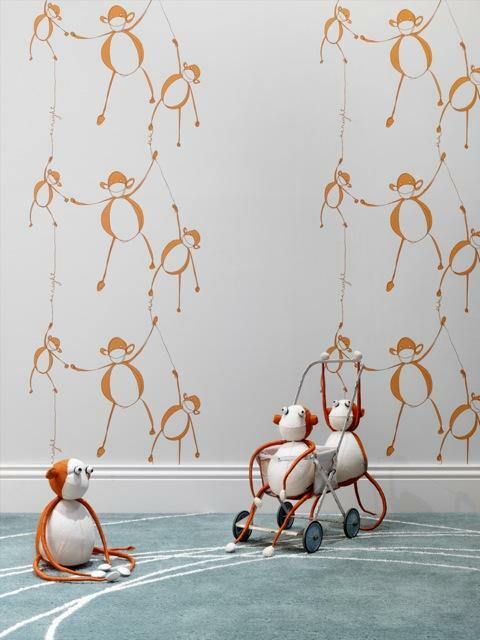 also the monkey wallpaper is adorbs!! Thanks Bryn! I know, I love those monkeys too. Cuuuute! Hi, where can I purchase the owl bookends? They’re awesome. Giggle has them! http://www.giggle.com/nursery-decor/decor/Zoo-Bookends-Owl/322502,default,pd.html?start=31&cgid=skip-hop Mini Jake in Williamsburg, Brooklyn carries them. http://www.minijake.com/mjfurniture.cfm?search=true .